Visit one of the Southeast's Most Popular Events now in its 42nd year. GATLINBURG, Tenn. - July 14, 2017 - PRLog -- The Convention Center is hosting the annual Summer Craft Fair. This event has been a mainstay for the summer residents and vacationers to Gatlinburg, TN and offers entertainment and crafting activites for children while the parents shop. Fiona Thompson of Elegant EarCuffs by Fiona is located in the Gallery. "I am excited to be participating for the first time as one of 200 booths featuring artisans and craftsmen from all over the USA. Sharing my ear cuff designs is always fun, especially for those who have never seen or may have only heard of ear cuffs." Vacationers wanting some relief from the humidity, heat or rain find the Convention Center a welcome location. Combine that with the quality and variety of artisans and this event is not to be missed. To learn more about this event, call 865.436.7479 and visit www.craftsmenfair.com. To plan a visit to Gatlinburg, visit www.gatlinburg.com. Gatlinburg has bounced back after a devasting fire in November of 2016. The Parkway, the main street with all the attractions, was untouched by the fire and Gatlinburg is ready to welcome the annual population of vacationers. 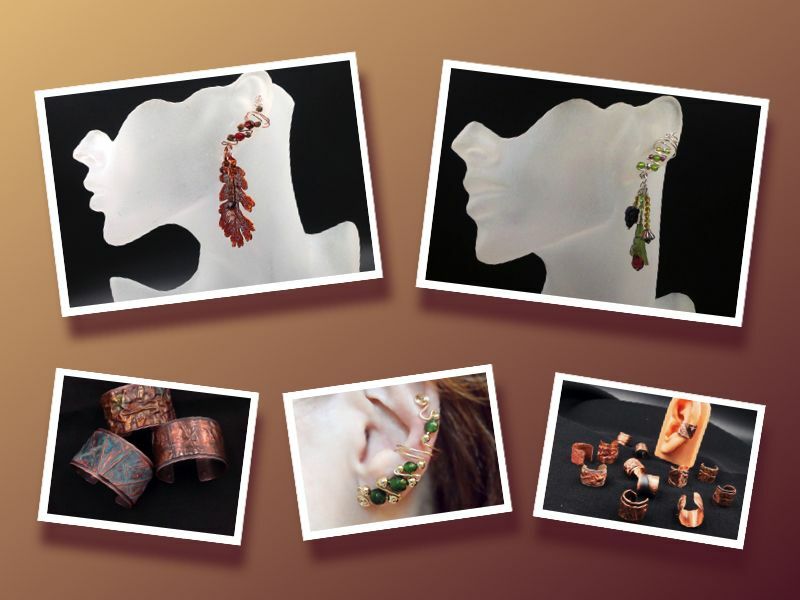 To view Elegant EarCuffs by Fiona designs, visit http://www.elegantearcuffs.com and the Home Page displays a slideshow of some of the popular designs. Additional events Fiona will be at are listed on the Upcoming Events page.